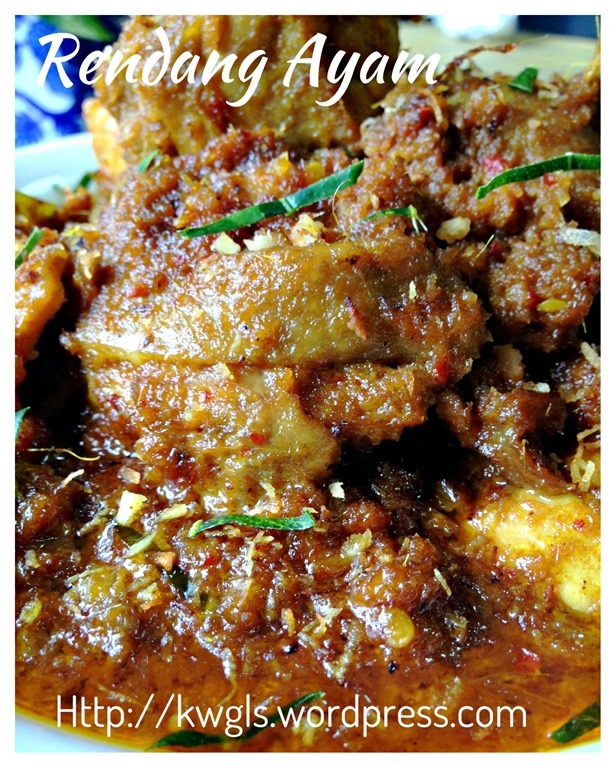 If you asked me to choose one representative dish of our Malay brothers and sisters, I will definitely choose rendang For me, most Malay households will have their very own unique recipe and everyone will claims theirs is the best. 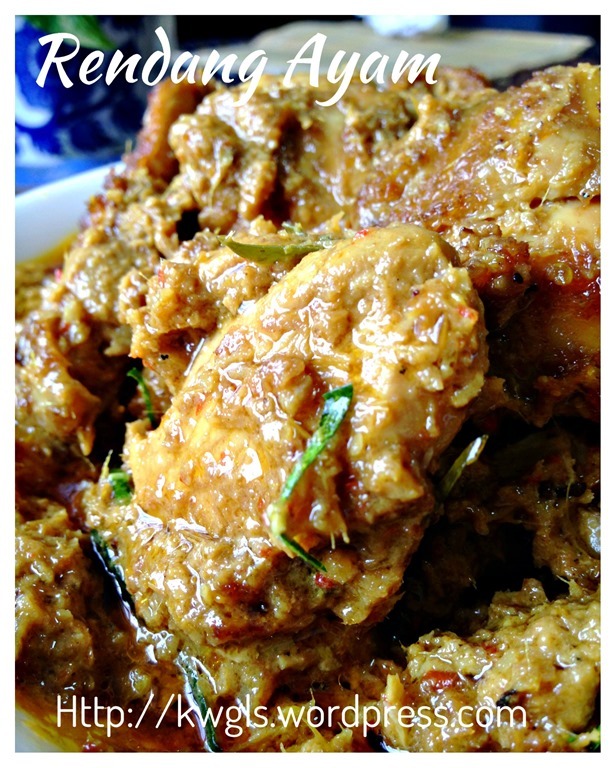 It is not uncommon for me to hop house by house during Hari Raya Aidilfiltri open house to taste their rendang chickens. I can totally understand such claims as this is a dish with long historical background and it was mentioned in a Malay literature Hikayat Amir Hamzah in 1550’s. It was a dish of Minangkabau origin, an ethnic race in Sumatra, Indonesia and traditionally such cooking was done as a meat preservation cooking especially for beefs. 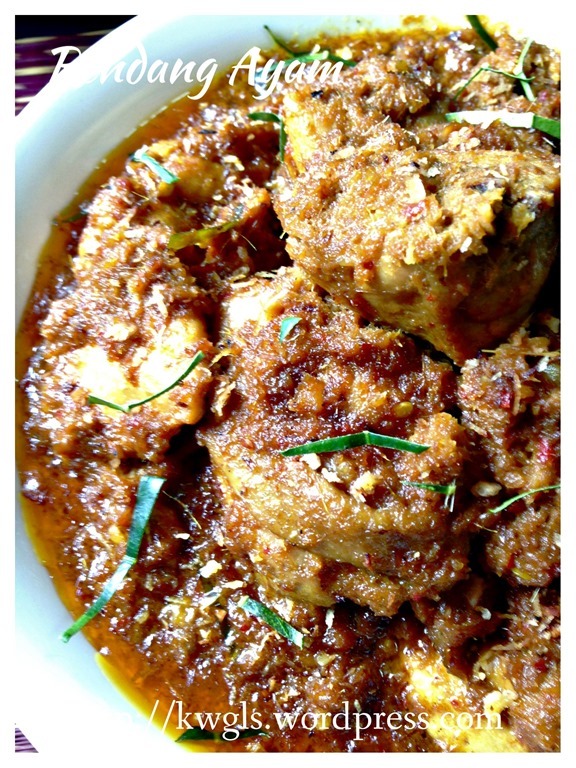 “Rendang is a spicy meat dish which originated from the Minangkabau ethnic group of Indonesia,and is now commonly served across the country. One of the characteristic foods of Minangkabau culture, it is served at ceremonial occasions and to honour guests. 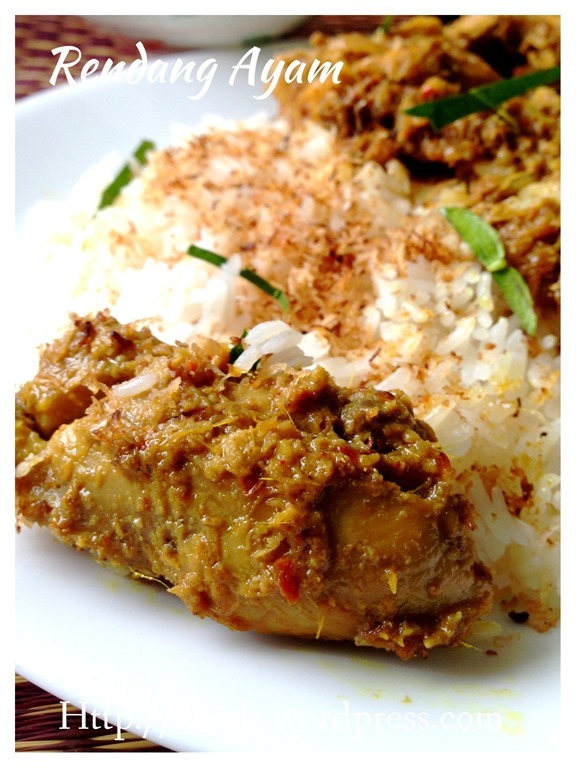 Rendang is also served among the Malay community in Malaysia, Singapore, Brunei and also in Southern Philippines. 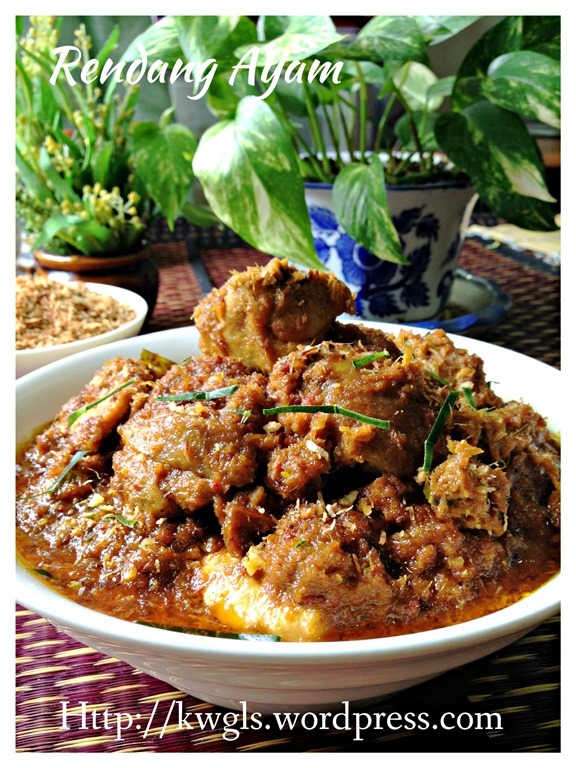 Rendang is traditionally prepared by the Minangkabau community during festive occasions such as traditional ceremonies, wedding feasts, and Hari Raya (Eid al-Fitr). 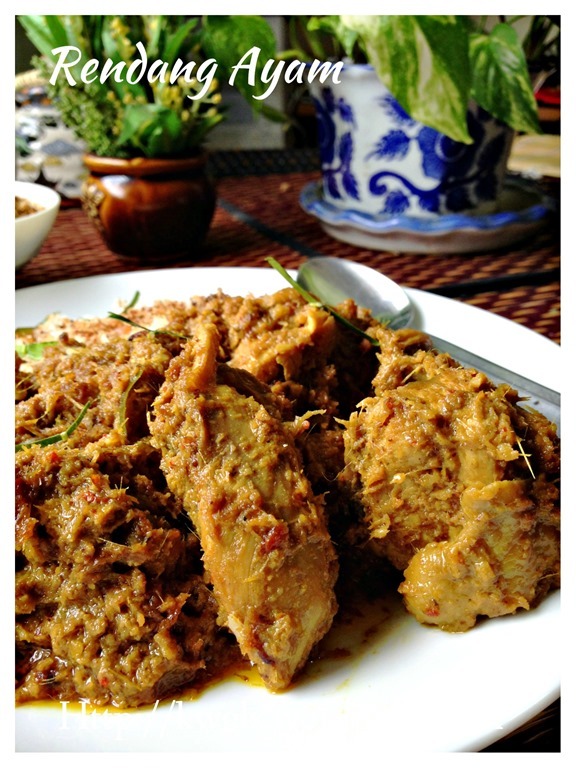 Culinary experts often describe rendang as: ‘West Sumatran caramelized beef curry In 2011 an online poll by 35,000 people held by CNN International chose Rendang as the number one dish of their ‘World’s 50 Most Delicious Foods (Readers’ Pick)’ list. 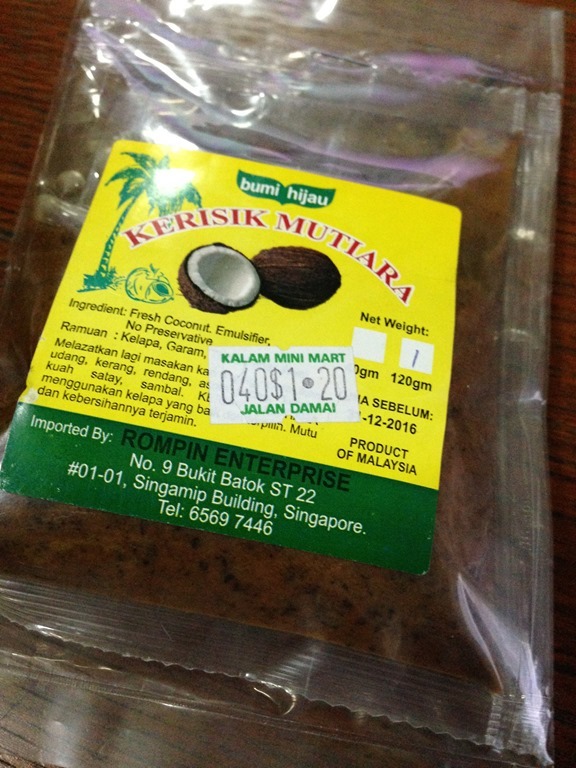 One of the unique ingredients of this dish in Malaysia and Singapore recipes is kerisik or so called coconut butter but tis was not used in Indonesia recipes. I have to be frank that I have failed in the preparation of the kerisik as I can’t get the paste i want. I will try again and therefore, in this post, I will not share the recipe of Kerisik in this post. The picture below is my pounded kerisik but no oil was excreted. For kerisik, I was told that it is possible to toast the coconut, pound it while it is hot until the coconut oil is excreted. A paste is then formed. I did not manage to get to that stage and I gave up.. 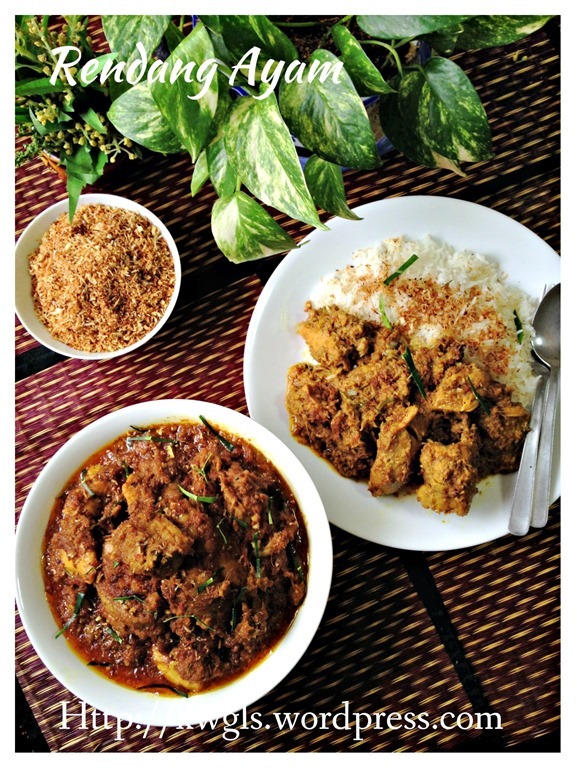 In fact, I prefer my rendang to have some coconut bits to bite rather similar with Indonesia recipes that uses shredded coconut. . Members of Facebook Group told me that with the coconut butter, it will give me an extra “oomph” in the dish.. I am unsure what extra oomph is this but what i knew is my rendang tastes like what I used to eat during Hari Raya visiting or what i bought from the Malay food stores. I am totally unsure whether or not these families or stores have prepared using homemade coconut butter as described above. Of course, new house chefs, don’t be deter by this, you can always buy ready made kerisik from the wet market stalls that sell curry rempah or spice mix. But, package kerisik that are not fresh will ruin your whole pot of your rendang. I especially love this dish as most of the herbs can be obtained freshly in the markets or planted at home. 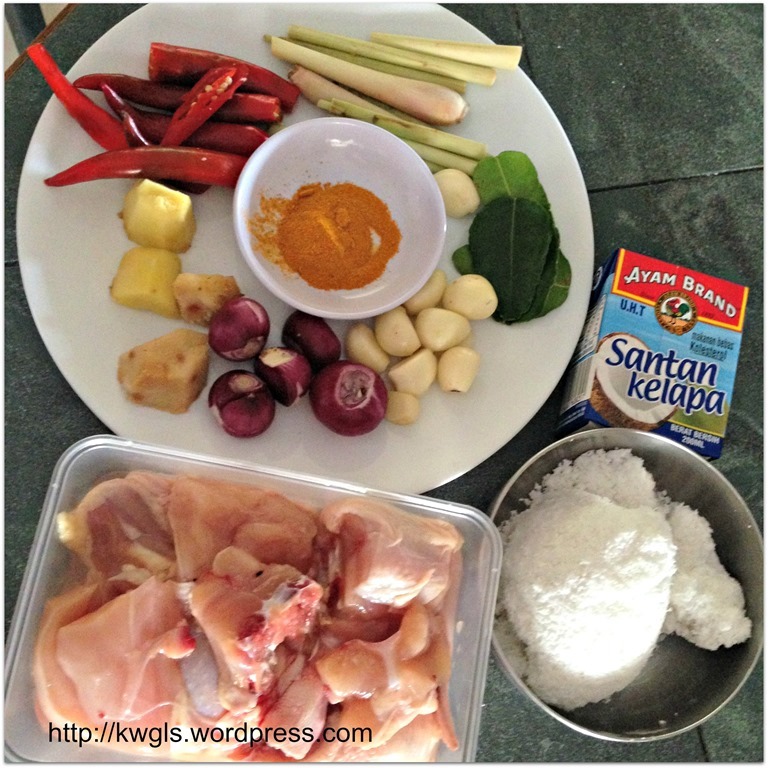 These are herbs that are very familiar to me since young – from galangal to turmeric to lemon grass to chilli… Unlike other Malay dishes, the spice mix did not include other middle eastern spices like jintan manis, jintan putih, curry powder and etc.. Therefore, the taste is very local with a very familiar fragrance mixed with strong coconut aroma. The meat are supposed to cook until it falls of the bone and the same recipe can be used for beef or lamb. 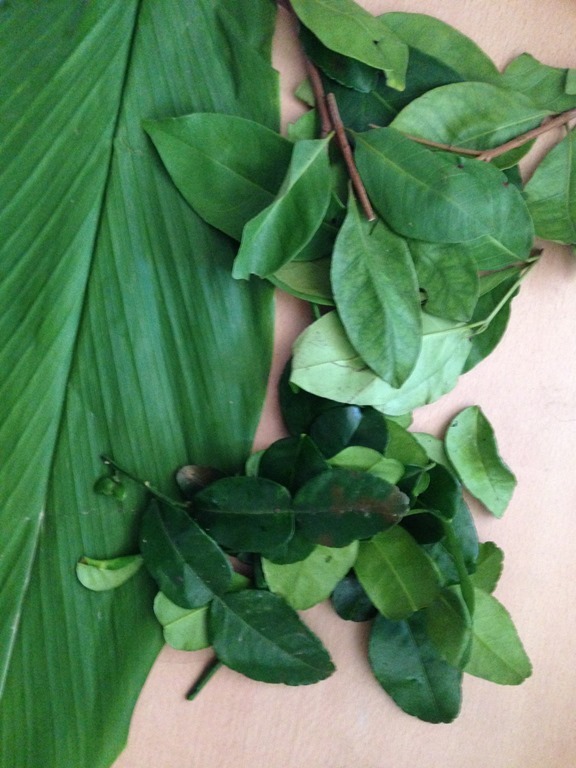 Ideally, three type of leaves shall be used: turmeric leaves, bay leaves (daun salam) and kafir lime leaves. As I can’t find turmeric fresh leaves and bay leaves, I have omitted the usage of these leaves and only kafir lime leaves are used. The picture was updated on 7-1-2015 subsequent to the issuance of this report. Blend all the herbs together until fine to become the spice mix.or herbs mix. In a big wok, put the cooking oil, sauté the spice mix, turmeric powder under medium heat until fragrant and oil starts to separate from the herbs mix. In this stage, you will witness loss of water vapour, colour become darker and the herbs mix become drier. Add in the chicken chunks, stir fry until well mixed and the chicken starts to get drier. Add the tamarind water, bring to boil, let it simmer until almost dry. 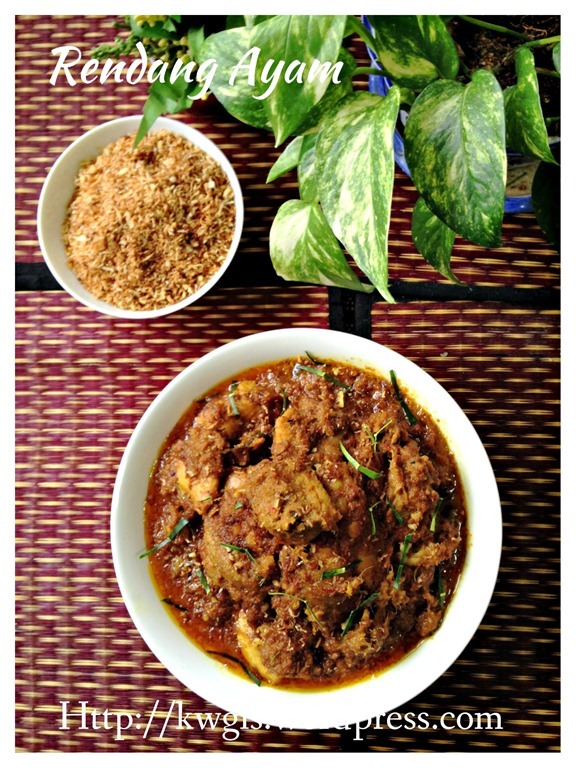 Add in the coconut milk and the shredded turmeric leaves, bay leaves and kaffir lime leaves, bring to boil, change to low heat and let it simmer until the meat is soft and the gravy is thick and concentrated. In this process, for every 10 minutes, give the meat a stir. 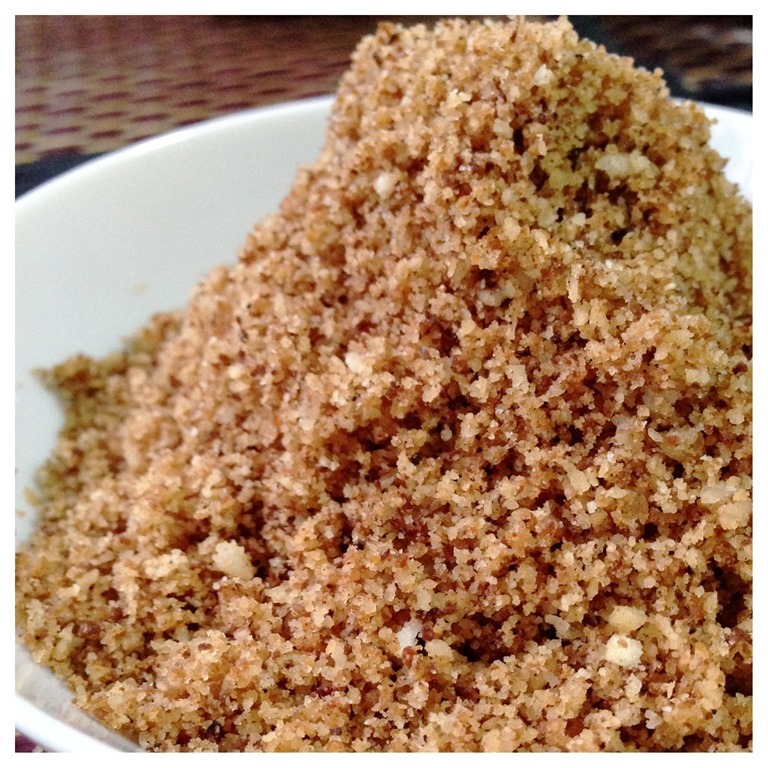 Once ready, add the sugar, salt to taste, kerisik or toasted coconut or freshly grated coconut. Stir fry until well mixed. Off the heat For this illustration, it took me about 1 hour to cook to my desired meat texture and consistency. 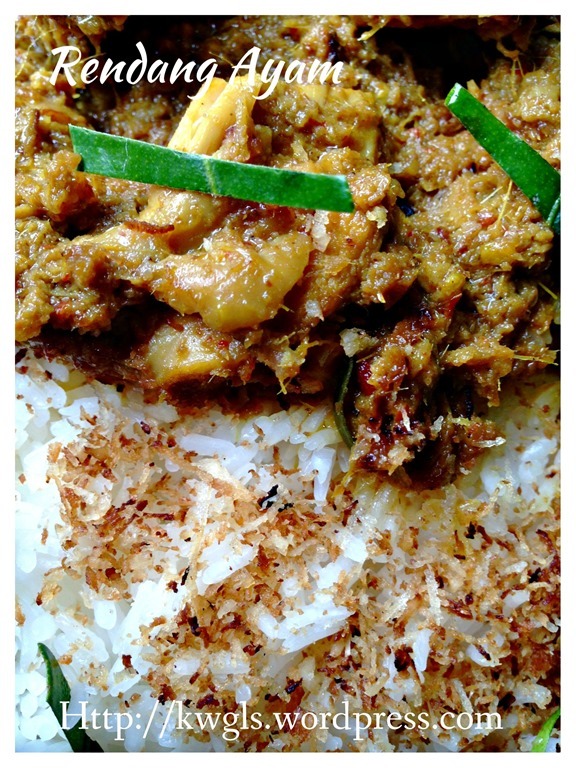 Rendang is best served warm with white rice, lemang and ketupat. The same recipe can be used for lamb or beef but the cooking hours will be much longer to get that melt in the mouth texture. Pressure cooker can be considered to expedite the cooking process. 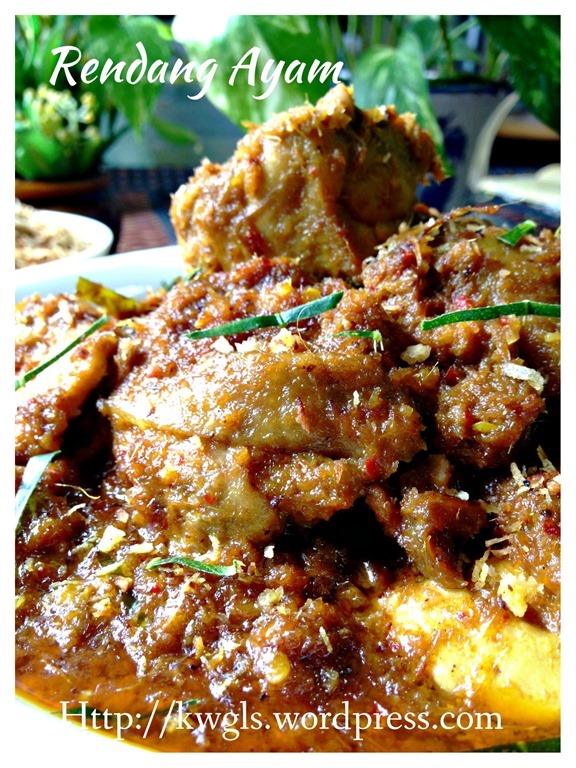 I hoped that this recipe will help readers who are looking for rendang recipe. 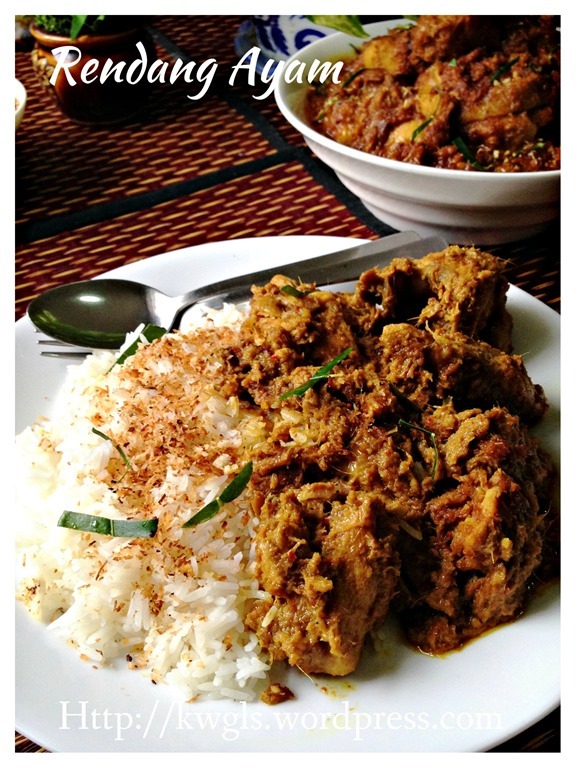 Though most of the Malaysia rendang recipes called for the use of kerisik, in my humble opinion, this is optional as the recipe are using a lot of coconut milk and shredded/toasted coconut. The coconut aroma is already very strong and the meat is very smooth since at the final stage of cooking, the coconut milk will become coconut oil after long hours of cooking. 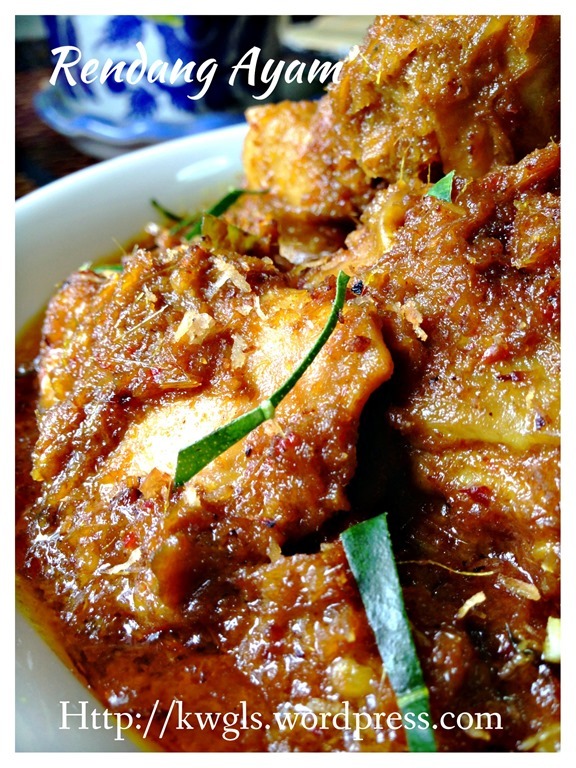 In addition, most Indonesian recipes (country where rendang originates) also never use kerisik at all… Well, that is my humble opinion and I will leave it to readers to decide. If you are buying ready packet of kerisik, ensure that it is very fresh, otherwise, it will spoil your whole dish…Though no real kerisik is used, I did not find any magnificent difference in taste with the rendang that I have eaten before. Sorry for this less than humble way of describing my dish. 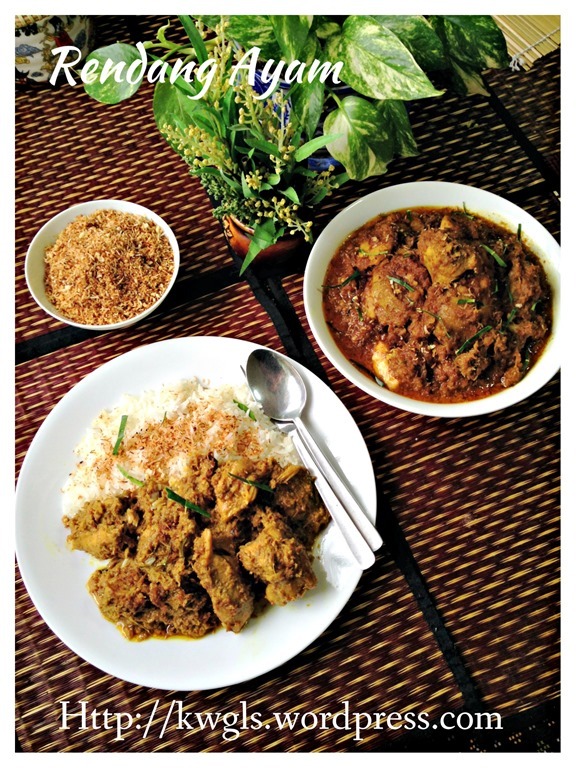 This entry was posted in Food Preparation Series, Meat Dishes and tagged 8, GUAI SHU SHU, Guaishushu, kenneth goh, postaday, Rendang Ayam, 仁当鸡. Bookmark the permalink. Great post and sharing, thanks Kenneth. 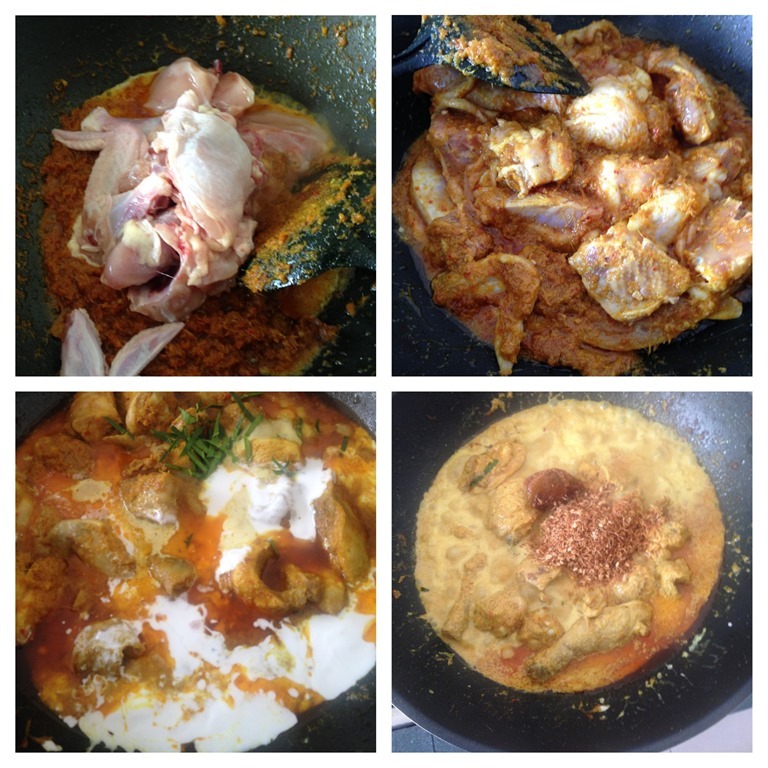 This already look so good, u making me looking forward to cook this. 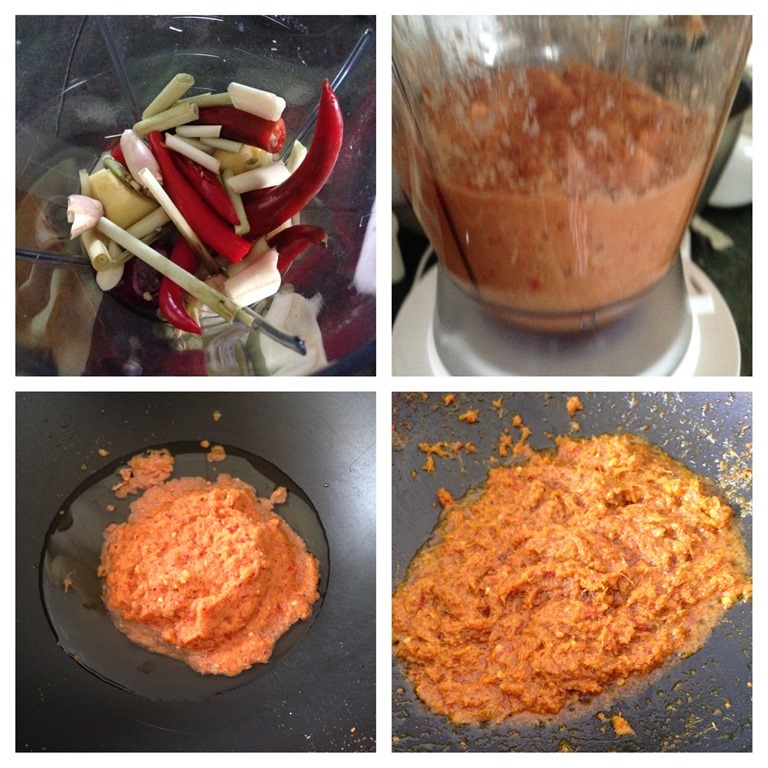 i have all the ingredients except for kerisik…adui..have to wait for another day.